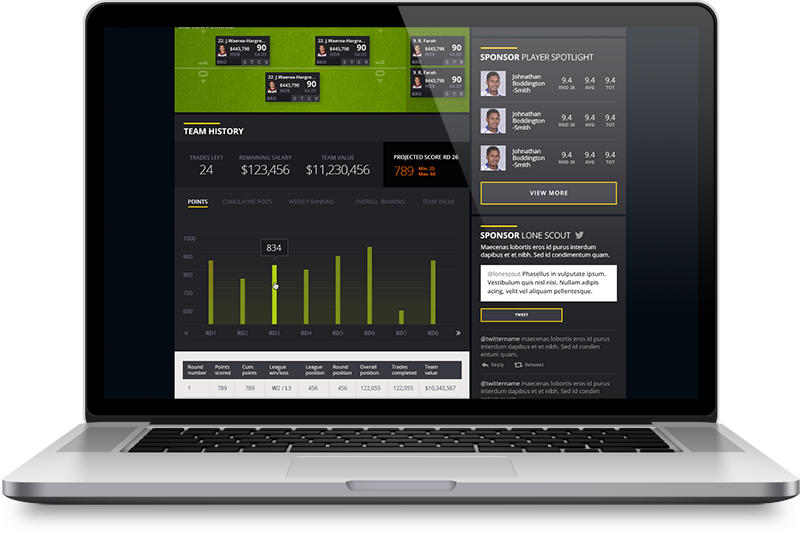 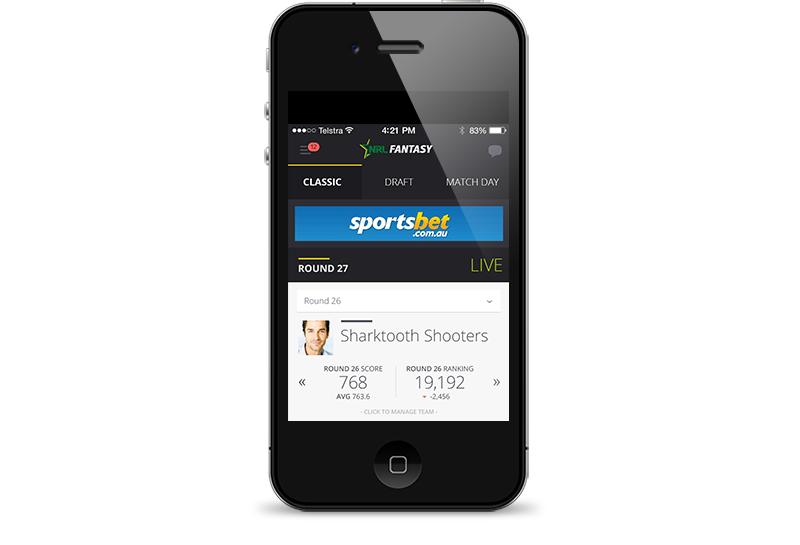 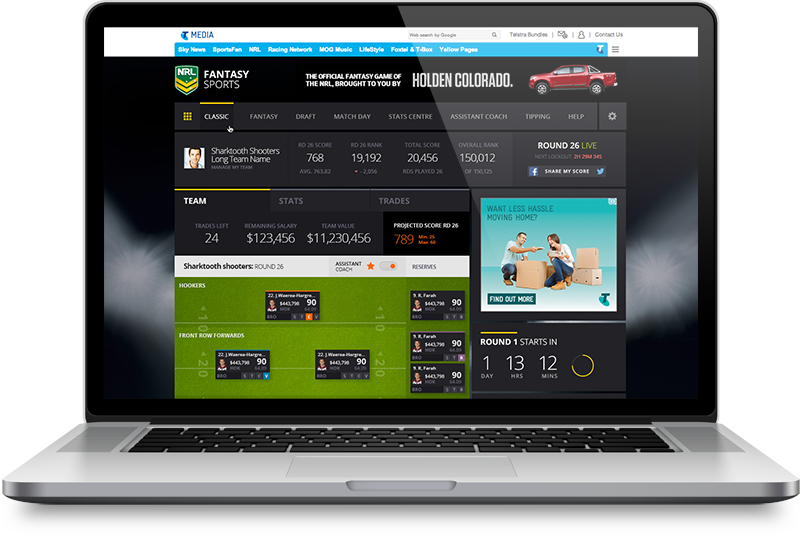 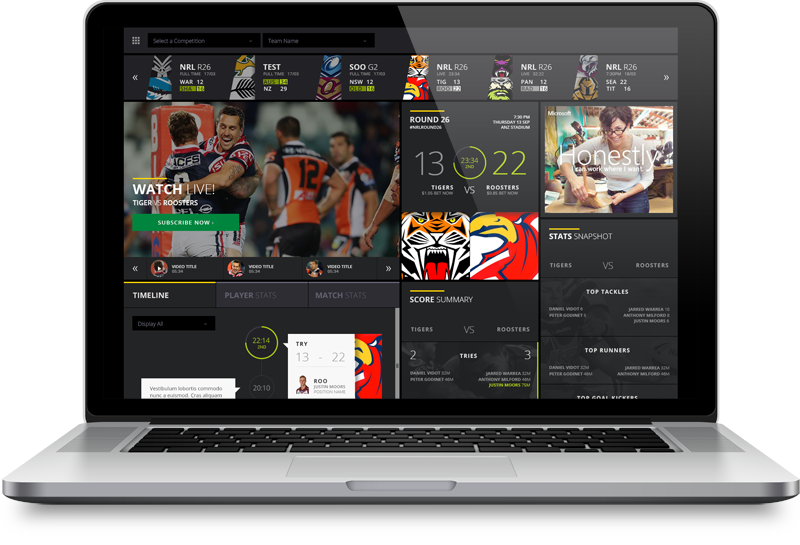 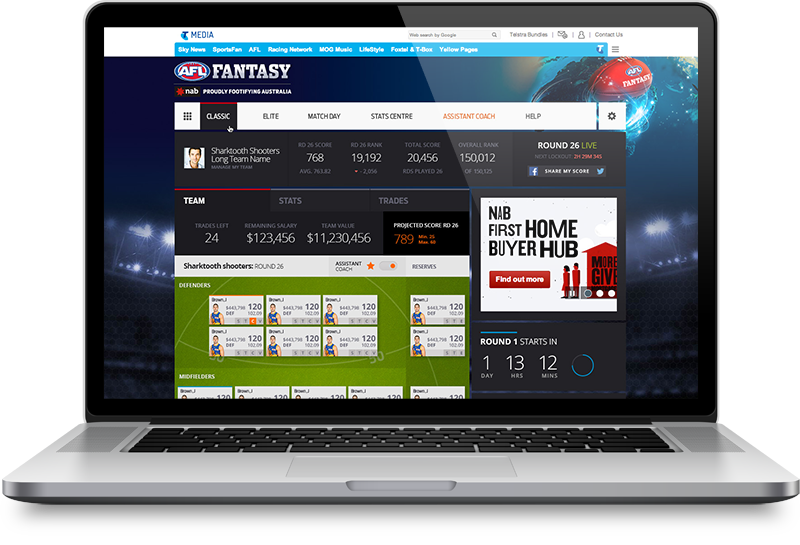 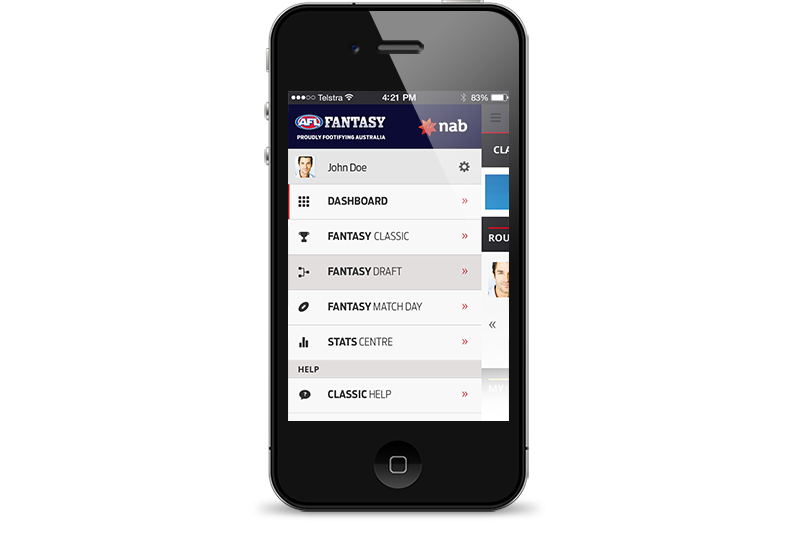 Working alongside the creative team at Loud & Clear I was involved in the user interface design and creative direction for the AFL & NRL Fantasy website, NRL Live Match Centre website and AFL & NRL Tipping website along with dedicated AFL & NRL Fantasy iOS and AFL & NRL Fantasy Android apps. 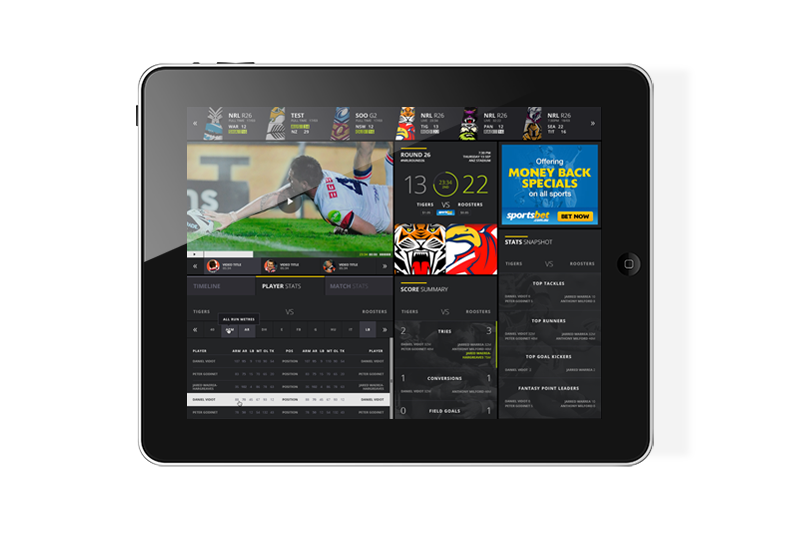 The website and application designs utilised minimal, spacious and flat user interface design elements along with intuitive and user focused navigation techniques. 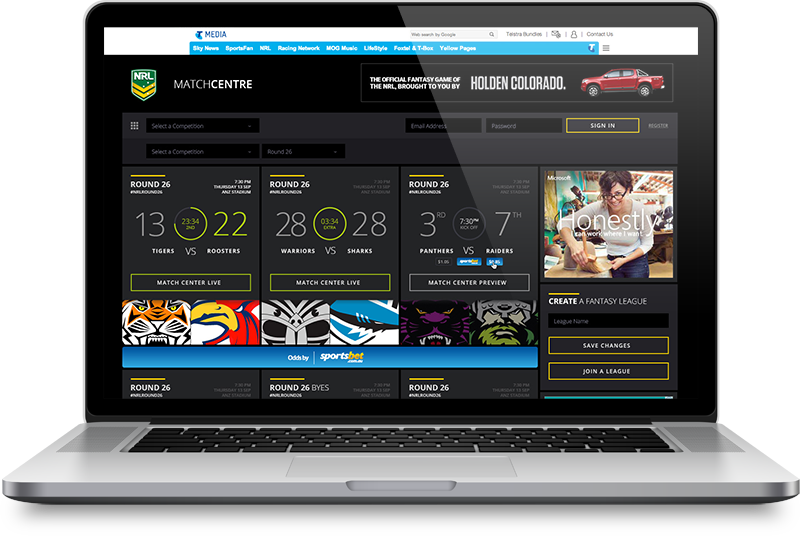 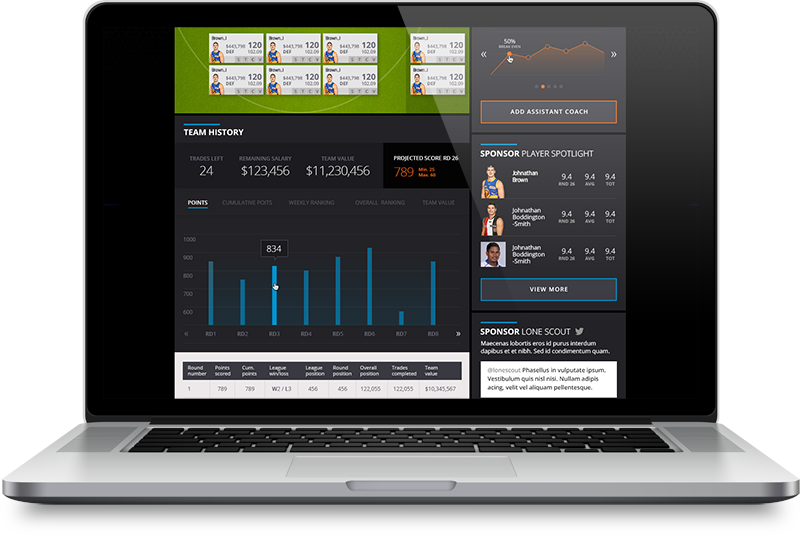 A great opportunity to work alongside two iconic Australian sporting instituitions and through clever design and user experience bring a diverse range of world-first dynamic content to users’ fingertips.